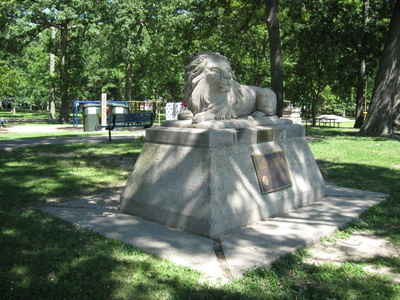 History: Lions Park was a gift from The Central Lions Club of Fort Wayne and has been a Fort Wayne attraction since 1953. 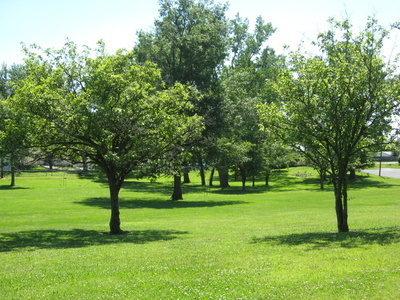 Its nearly 15 acres are tucked away in a scenic northside neighborhood not far from Hazelwood Post Office and Fire Station Number 10. The Lion monument was dedicated in memory of Henry and Wilhelmine Franke. 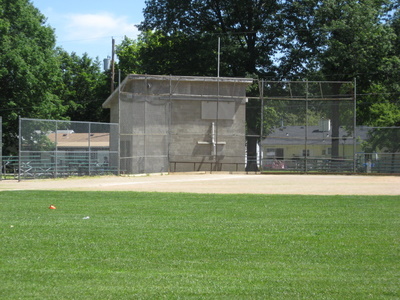 The baseball diamond in Lions Park is a wonderful place to play America's favorite game, baseball. 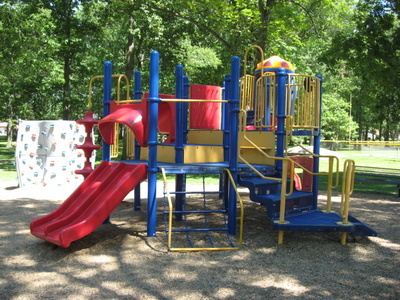 Lions park diamond is available on a first-come, first-served basis. If you are interested in scheduling the ball diamond for a specific event, call Fort Wayne Parks & Recreation at 427-6000. 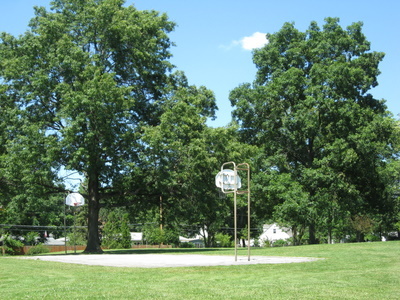 Lions Park's basketball court provides a cozy and comfortable area for you, your friends and your family to play this popular game. 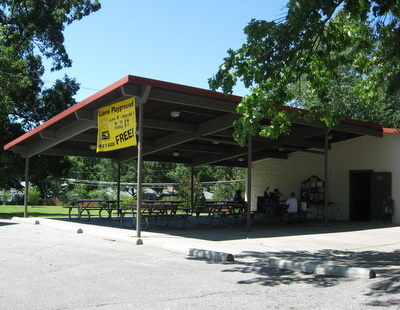 The Pavilion in Lions Park is available to rent for any special event or occasion. 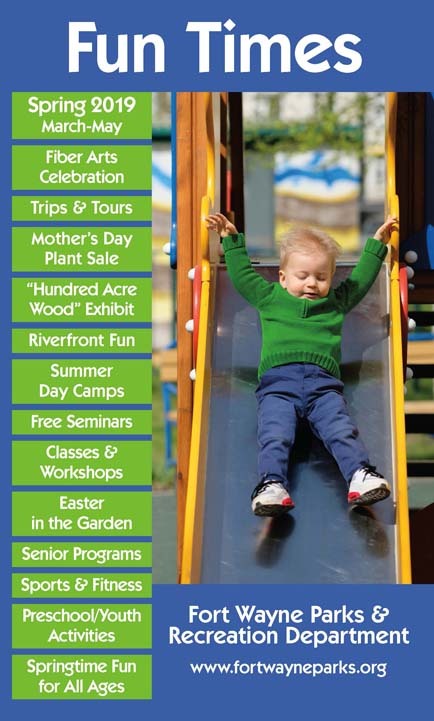 For more information about rental rates of all park pavilions, go to the Pavilion page. 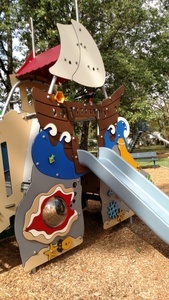 A shaded playground area features fun activities for kids of all ages, including a unique rock climbing wall area. 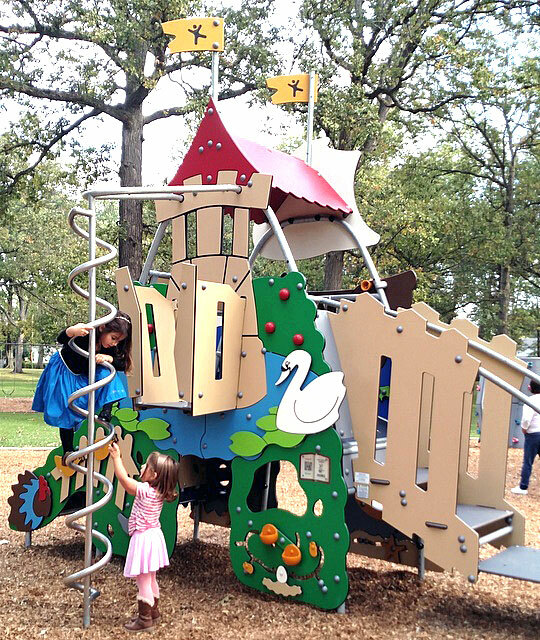 Learn more about The Smart Playground from KOMPAN. 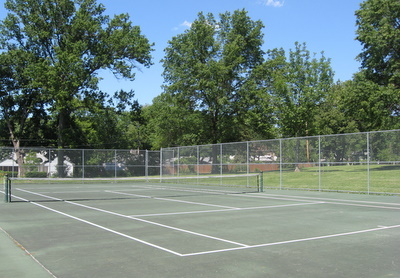 Lions Park has one tennis court, one half practice court and five pickleball courts available for use.